Advanced practice nurses (APNs) play a vital role in the healthcare delivery system. Nurse practitioners, a category of advanced practice nurses, account for a substantial part of the clinical workforce and up to 42% of them provide primary care. The Master of Science in Nursing (MSN) and the Doctor of Nursing Practice (DNP) are both options for a registered nurse seeking to prepare for certification as a Nurse Practitioner. Graduates fill a gap in primary care for the underserved and uninsured population. According to experts, there’s a shortage of about 700 doctors in Hawaii. Low reimbursement rates, high overhead expenses, and the state’s high cost of living make it challenging to recruit more physicians. 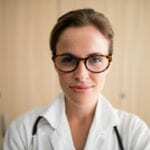 Nurse practitioners present an ideal solution to this healthcare deficit as they can work independently or in large clinics to serve rural and urban populations. Graduates of the DNP program are expert clinicians who might also hold national certification in a practice domain. As more nurses seek to advance their careers and assume greater responsibility in healthcare, enrollment in these burgeoning programs is becoming competitive. Depending on the concentration, students will be prepared for leadership, educator, or administration roles or as primary care providers in family, pediatric, or adult care. 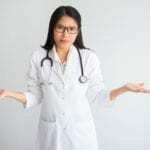 While an MSN degree will give nurses access to advanced practice as a nurse practitioner, organizations representing NPs collectively endorse the move to the DNP. In a similar manner, the American Association of Nurse Anesthetists also endorses the move to the DNP and suggests that new and existing NAs achieve the degree by 2025. Nurse practitioners in Hawaii enjoy independent practice rights. Those who hold a DNP will instill public confidence in their ability to deliver high quality care. Studies suggest that NPs provide the same or higher quality of care as a physician. With a broad knowledge base and clinical expertise added to the compassion of a nurse, APNs will change the face to healthcare especially for those who need their services in rural and underserved areas. Many nurses choose the MSN degree to specialize in a particular area in a short timeframe. However, if you desire to become an expert in a practice domain, then the DNP program should be the degree of choice. The degree presents a terminal point in clinical practice for nurses and opens a broad range of career options for ambitious nurses. The DNP, like the research-focused Ph.D., requires a three to six-year commitment but the investment earns career advancement opportunities, diverse career options, and higher salaries. As a DNP graduate, you’ll renew your commitment to improve patient outcomes and translate evidence into clinical practice through the expertise gained in the program. Depending on your chosen course of study, you may also be able to manage teams, develop policies, assume leadership roles, and educate the public on disease prevention and health issues. The curriculum is designed to broaden students’ view of their role in nursing, which will change your approach to the delivery of quality care. One of the main goals of the DNP program is to produce professionals who are capable of implementing advanced nursing concepts and promoting leadership within the healthcare system. The ability to collaborate with other professionals at the doctorate level, influence policy to improve the lives of patients and nursing professionals, and elevate the quality of care in all medical settings are other critical skills achieved by DNP students. 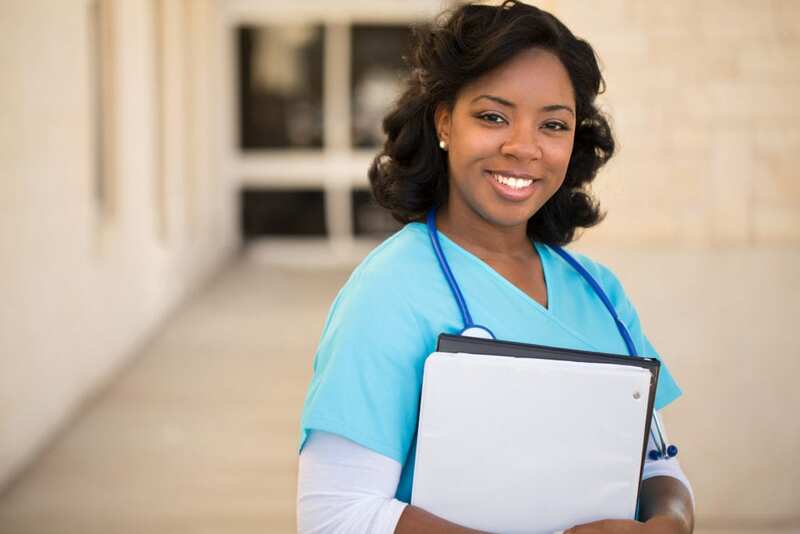 No matter your concentration, you will be strategically positioned to influence the next generation of nurses and the nursing profession as a whole. There’s a great demand for doctoral-prepared nurses. The career options are diverse, and though demand is great in almost every specialty, it is especially high in primary care. As a graduate, you can find employment in public health departments to impact policies and standards in health care, primary care facilities to influence treatment plans or make executive decisions, or nurse-managed clinics to bring relief to residents in rural or underserved areas. You may also decide to operate a private practice to work with patients on a personal level. According to the American Association of Colleges of Nursing (AACN), the DNP program will instill advanced understanding to manage complex issues in practice, advanced skills in leadership and communication, and a broad knowledge base to implement evidence-based research in practice to improve patient outcomes. Students will enhance their knowledge of nursing theory, research, health policy development, assessment, and evaluation. They will also learn how to implement research projects specific to their practice roles. If you desire to improve the status of healthcare from a clinical or leadership standpoint, then the DNP degree may be a right fit. Technology pervades every sector of modern society, and health care is no exception. New developments in technology and informatics play a huge role in the delivery of care. As health care leaders invest in technological systems to provide for patients’ comfort and improve the speed and delivery of care, nurses must become versed in the use of technology in the areas of data and analytics, assessment and workflow, and clinical protocols. Technology is also a big part in scheduling systems and nurse education in the workplace. The DNP curriculum’s focus on technology is an appropriate representation of the emphasis on technology in the field. Students learn how to navigate technology and informatics and how to develop new ways to use technology to improve practice. DNP graduates stand at the top of the salary pyramid for nurses. They earn substantially more than MSN graduates and may even outpace Ph.D. nurses. According to Payscale, DNP professionals earn an average of $101,550 annually. Choose the DNP to improve your career opportunities, earn more money, and deliver the highest quality of advanced care. Students enrolled in the DNP program will learn how to practice as expert clinicians and leaders in advanced practice. At the conclusion of the program, they will be prepared to practice in complex systems tending to diverse populations and influencing changes in health care outcomes through the application of evidence. The program attracts registered nurses who, for various reasons, want to influence health care policy, educate future nurses, and contribute to the profession in a clinical capacity. The ideal candidate is one who wants to keep pace with growing responsibilities by upgrading their educational standpoint, yet seeks to maintain efficiency, effectiveness, and compassion in practice. The typical applicant is one who holds a Bachelor of Science in Nursing (BSN) or MSN degree and seeks to further his or her education to take on a greater role in a health care setting. Through the acquisition of knowledge and critical skills, students will learn how to function independently in an advanced practice role to improve patient outcomes in a specialty role. The DNP program is a worthwhile investment when the curriculum includes an appropriate emphasis on evidence-based practice, population health and leadership, patient-centered care, and technology and informatics. There are two entry points to obtain the DNP degree. Nurses who are not authorized to practice as an advanced practice nurse can use the post-BSN entry point to the DNP program. The program educates registered nurses to be Nurse Practitioners, Nurse Leaders, or Clinical Nurse Specialists depending on the chosen specialty. Nurses with an MSN degree in a nursing specialty who want to expand their practice expertise can enroll in the post-MSN program leading to a doctoral degree. Graduate tuition at the University of Hawaii costs approximately $1,001 per credit for resident students. The point of entry and the total amount of credits required to complete the degree will determine the final cost.